Two products of my desire and neither are available in Austria. Lucky me! I already mentioned the Anastasia Beverly Hillf brow pomade (taupe) in my US make up haul. The NXY tame & frame tinted brow pomade (blonde) was ordered from feelunique. Ever since I purchased the Anastasia Beverly Hills brow pomade I was scared I would run out of it although it will probably last for ages anyway. Well my troubled mind made me buy the NYX brow pomade just in case I needed a cheaper alternative. You might ask why find an alternative if I haven’t even come close to running out of my expensive one? Well a) because now I can compare the products side by side without one being old and dried out and more importantly b) I can justify my purchases by blogging about them. They both claim to be waterproof. I don’t know how much water resistance classifies as waterproof but I do have to say they stay on a lot better than any brow pencil or powder I have ever used. Do I think they would survive a day swimming? Probably not but who knows. Color wise they look alike in the pot but not when you use them. NYX is lighter and I need more product to achieve the same look. I also feel like NXY is a smidge more warm toned. 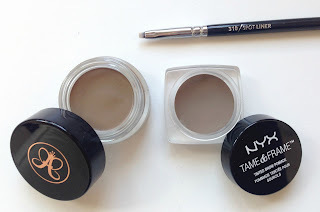 I mostly use it if I just got my brows tinted and don’t want to overdo the bold brow look. I would say their color description of “blonde” is very accurate. 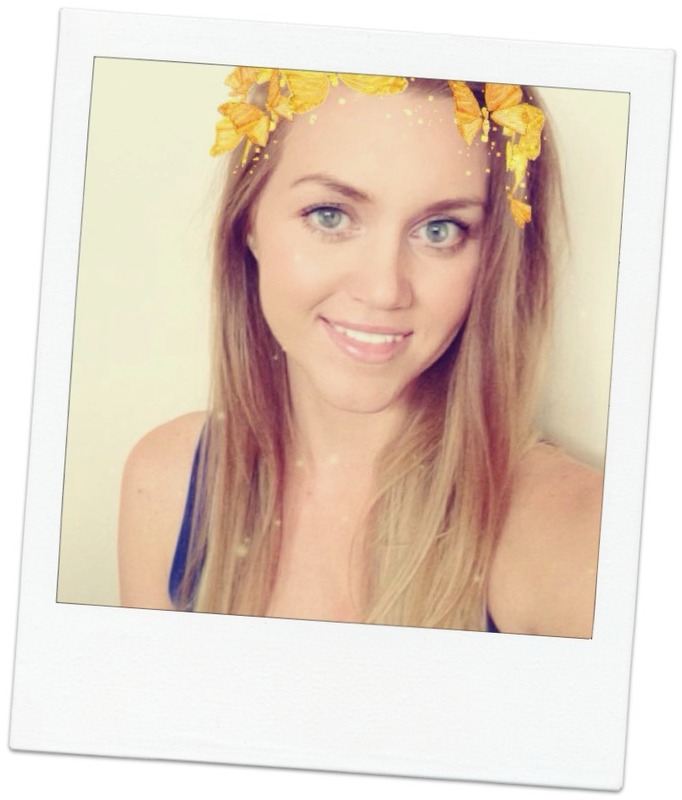 If I had blonde hair and light brows it would probably be perfect. 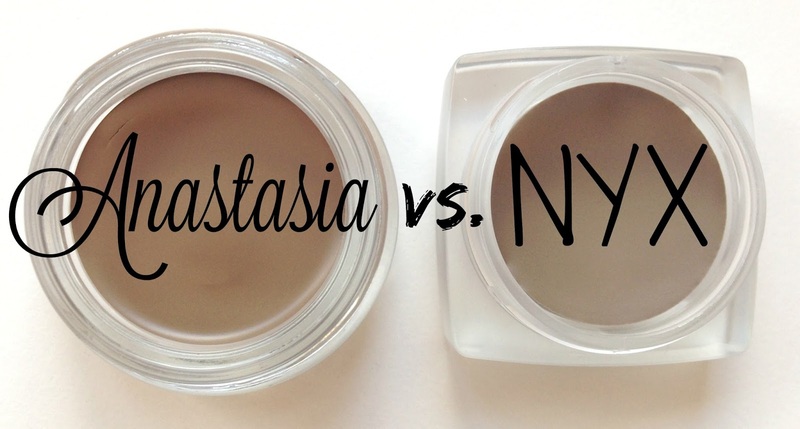 The Anastasia pomade applies a lot darker. Well not a lot per se but a lot compared to the NYX one. It is very ashy and grey toned which I love and very creamy in application. A little goes a long way and after brushing it out with a spoolie it looks perfect. It also stays put all day long. 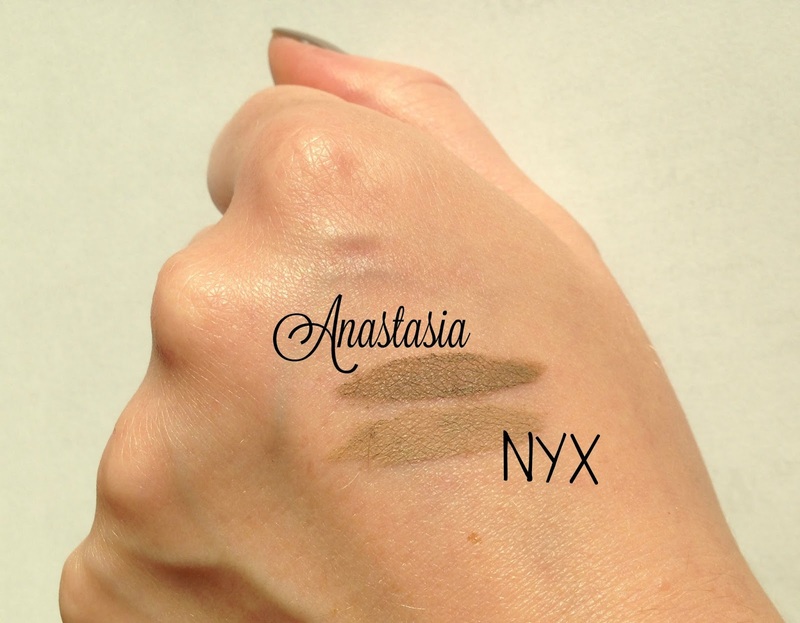 I do have to say I prefer Anastasia over NXY but mainly because of the color. The swatch picture was taken in bright sun light and the colors look more warm toned for some reason. They are a lot more on the gray side. I promise. At first I used the Zoeva 310 spot liner because for some reason I thought it would be so much more precise than using an angled brush like everybody else. Yes, I have my moments and then I know everything so much better than an actual professional. Well after a while I got curious and tried using the MAC 266 angled brush and who would have thought? Now I like it better. Of course! And yes I admit I was wrong. Well in my defense they both work just fine. I am much faster with the angled brush though. Was this review helpdul? Have you tried one of them? What are your thoughts? Do you prefer other products? Let me know what you think.